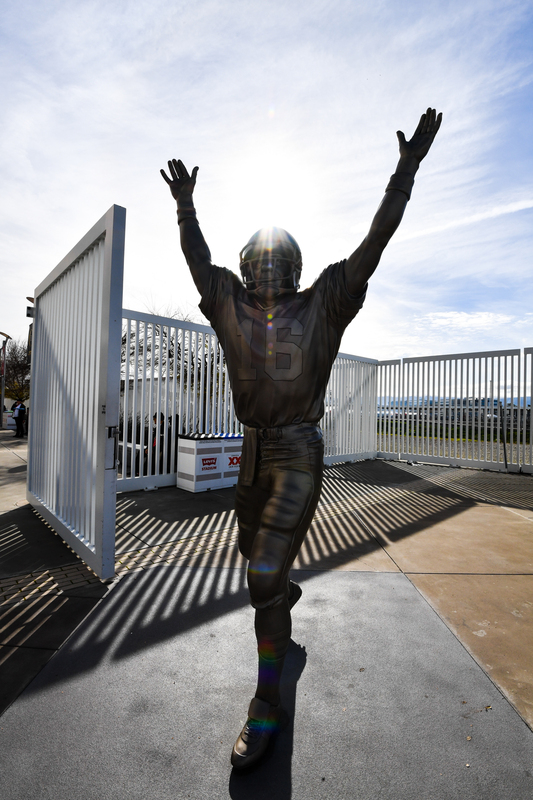 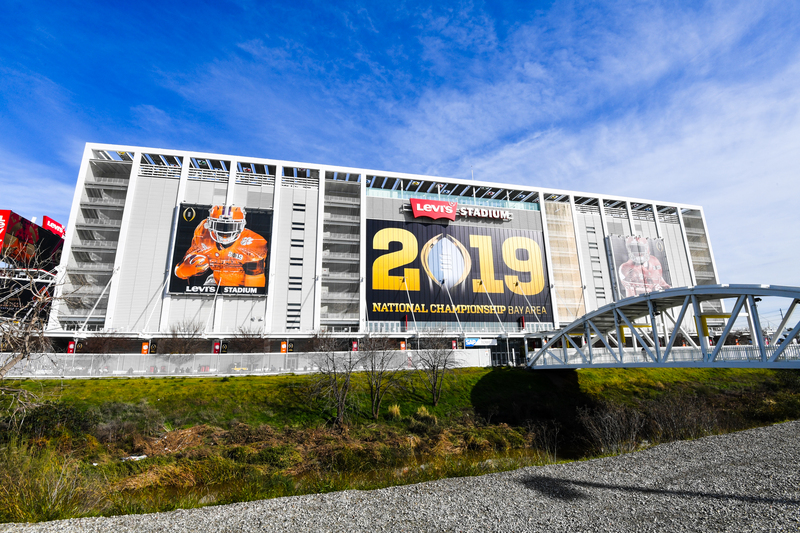 SANTA CLARA, Calif. – The No. 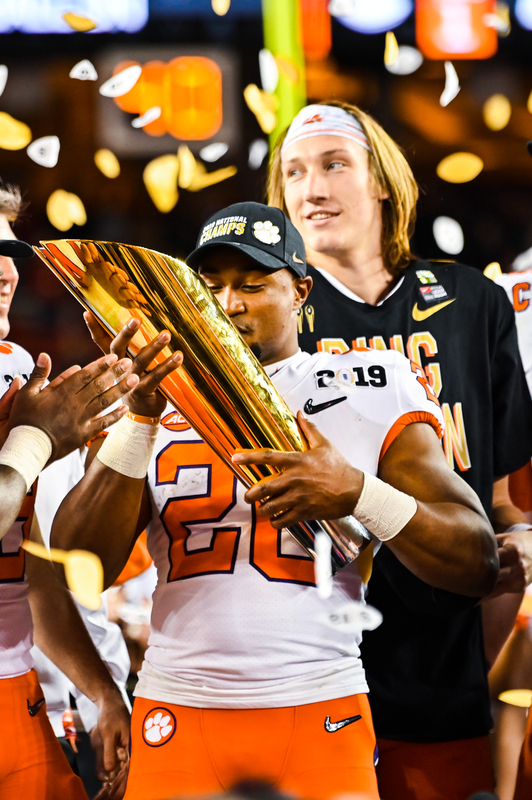 2 Clemson football team defeated the No. 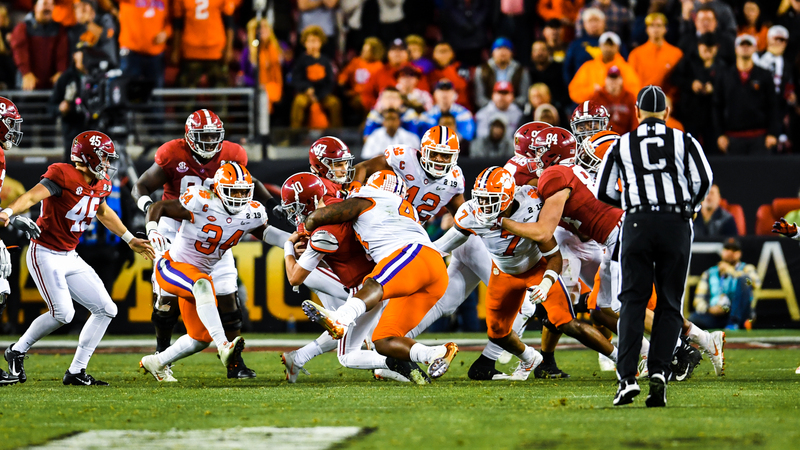 1 Alabama Crimson Tide in resounding fashion, 44-16, en route to winning the College Football Playoff National Championship on Monday night at Levi’s Stadium. 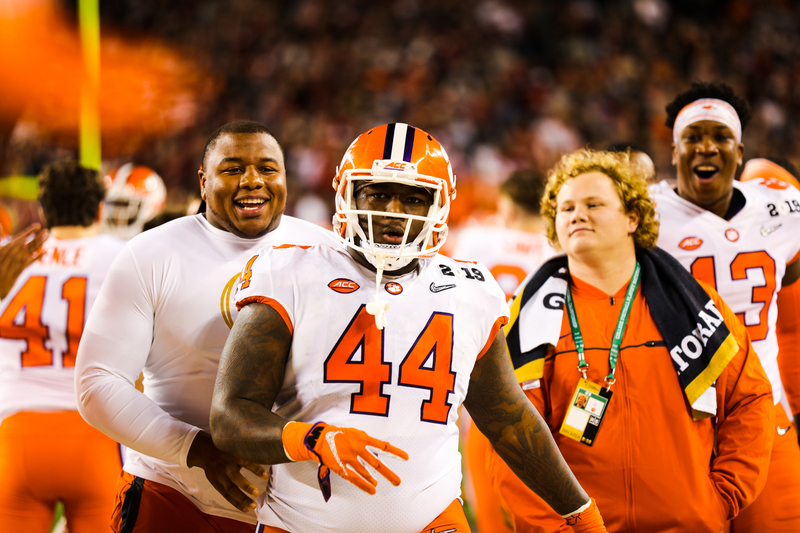 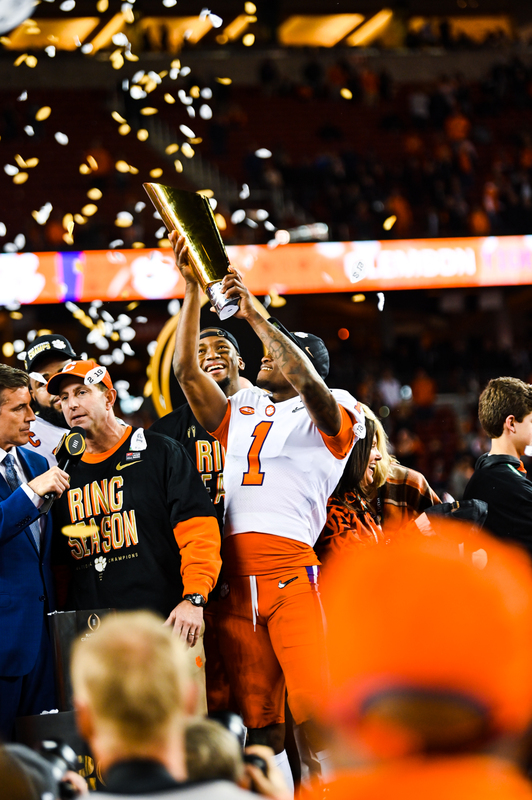 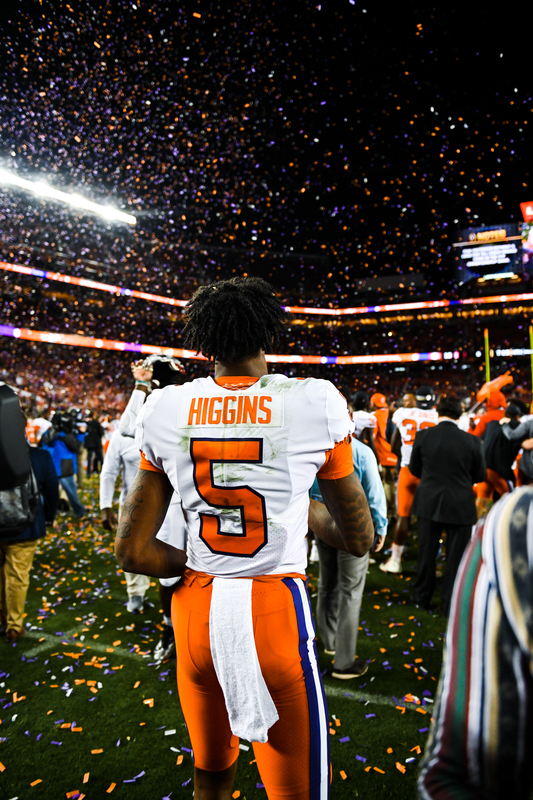 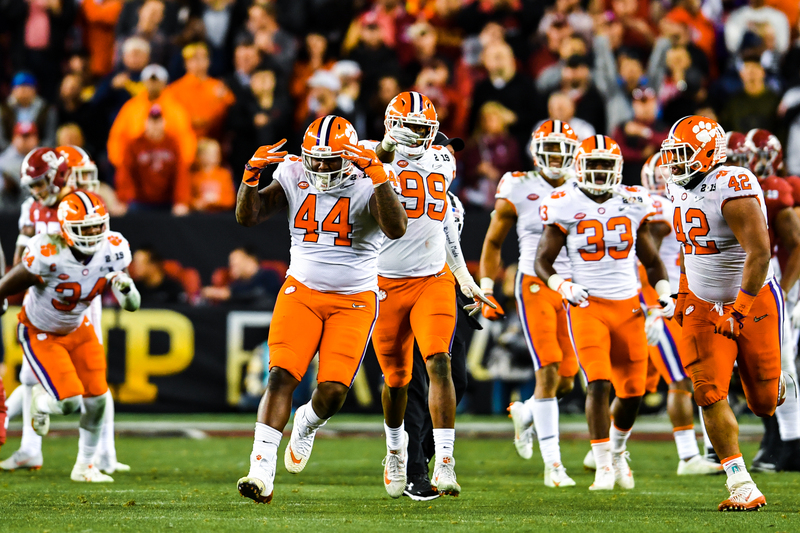 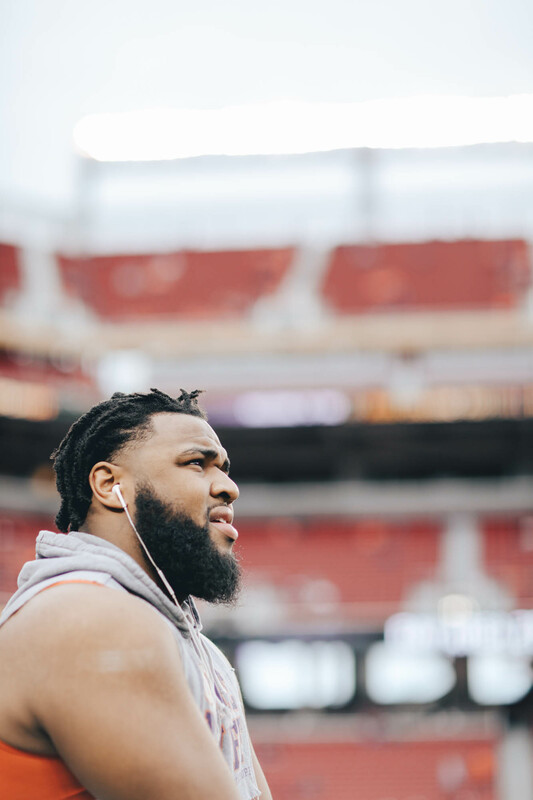 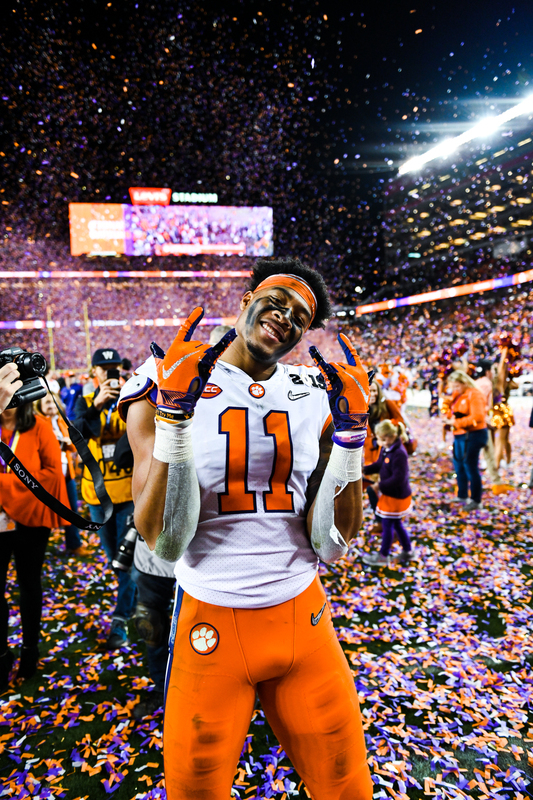 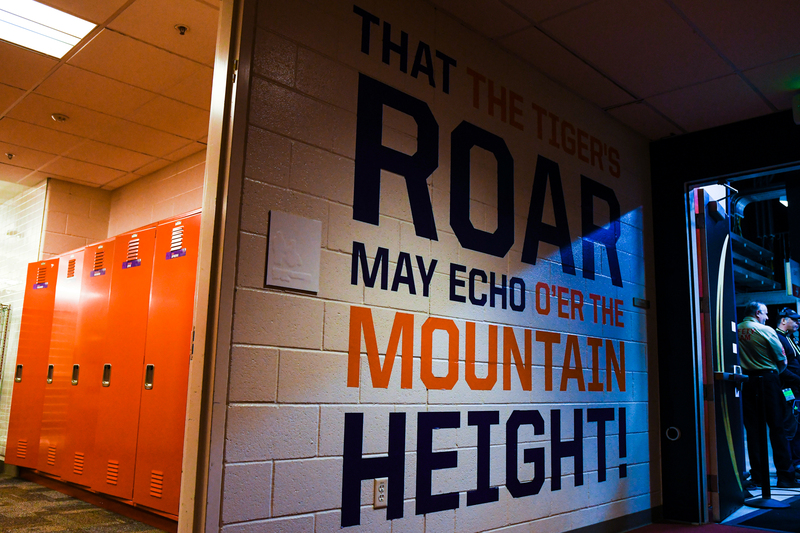 With the win, Clemson finished the season with a perfect 15-0 record, making the 2018-19 Tiger squad the first major college football team in the modern era to go 15-0, while Alabama ended the year at 14-1. 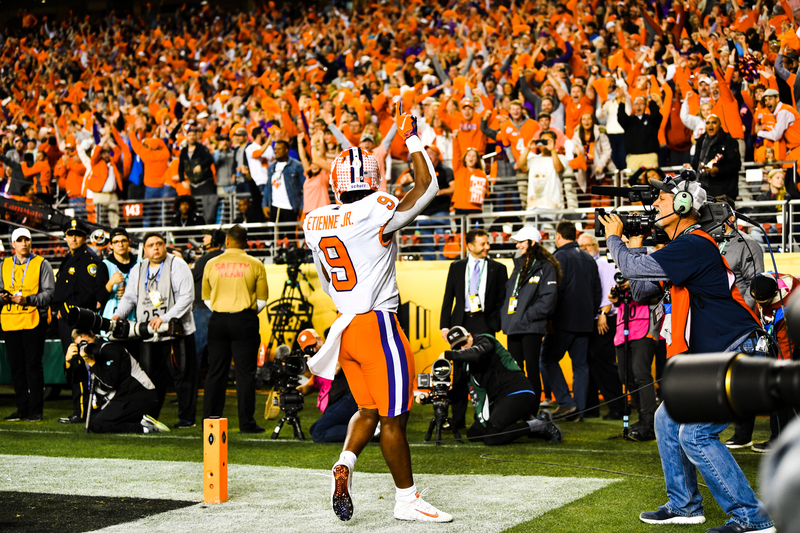 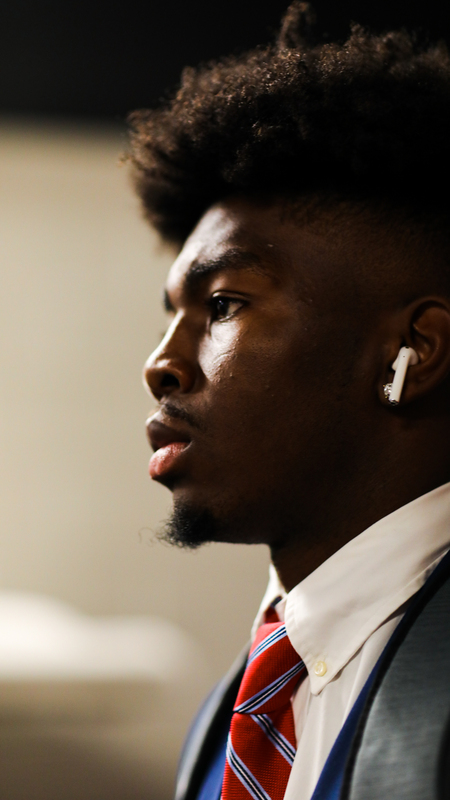 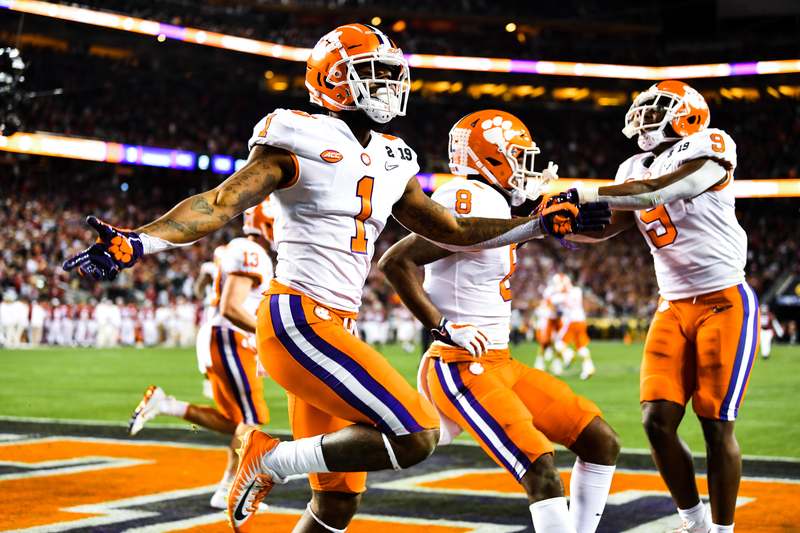 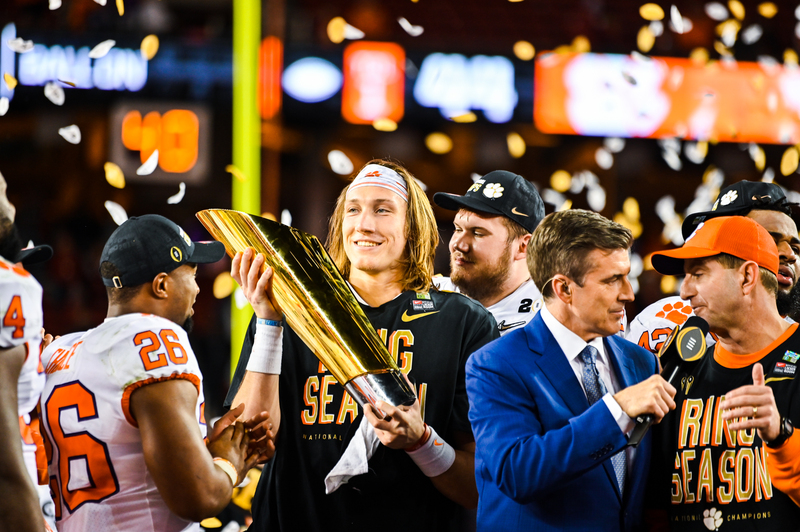 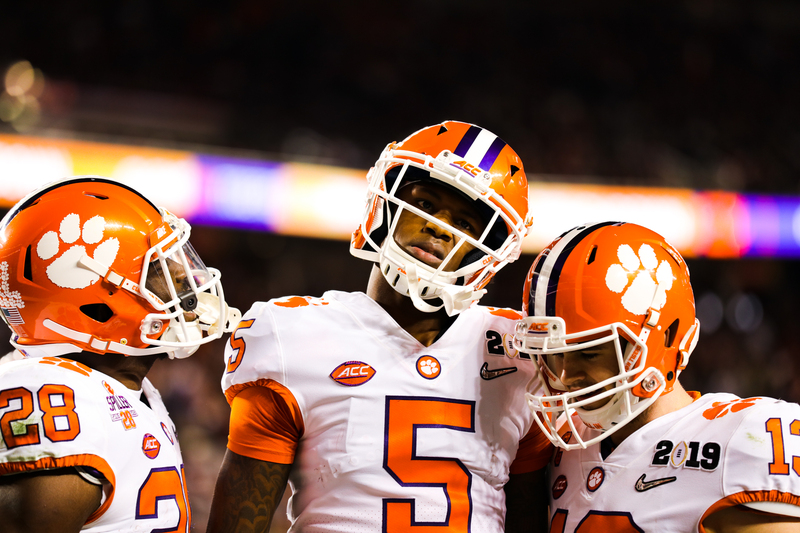 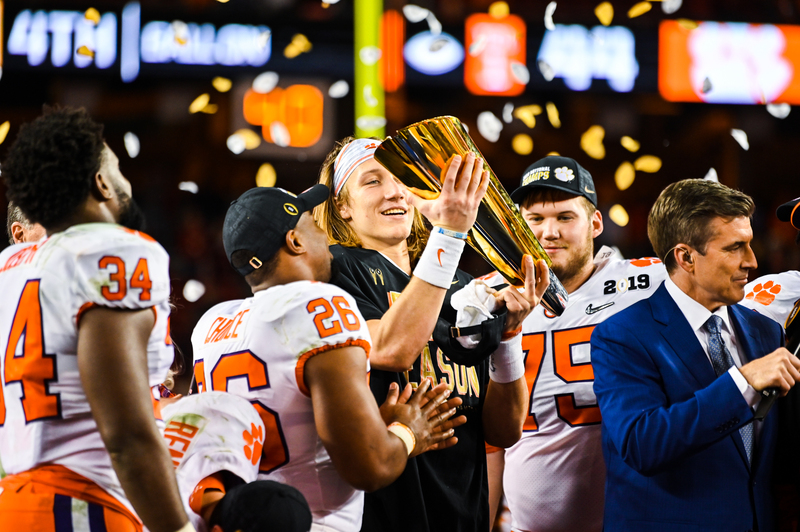 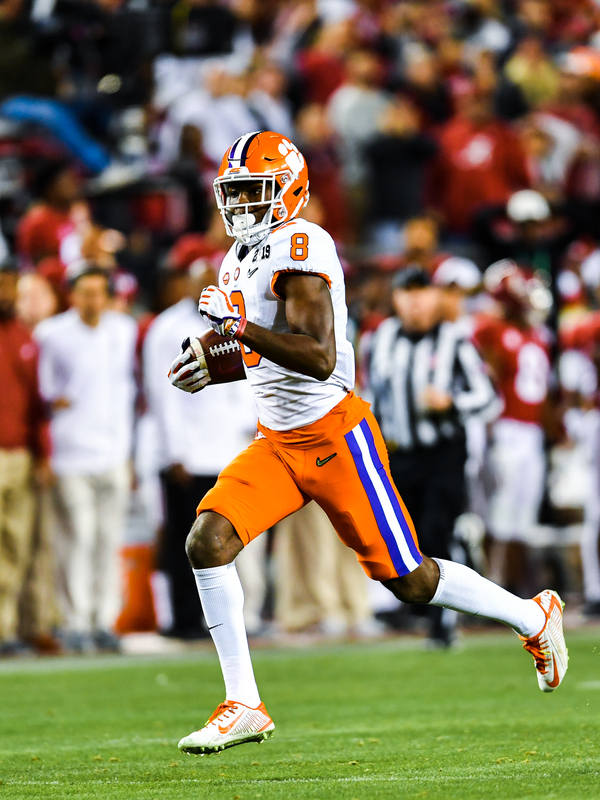 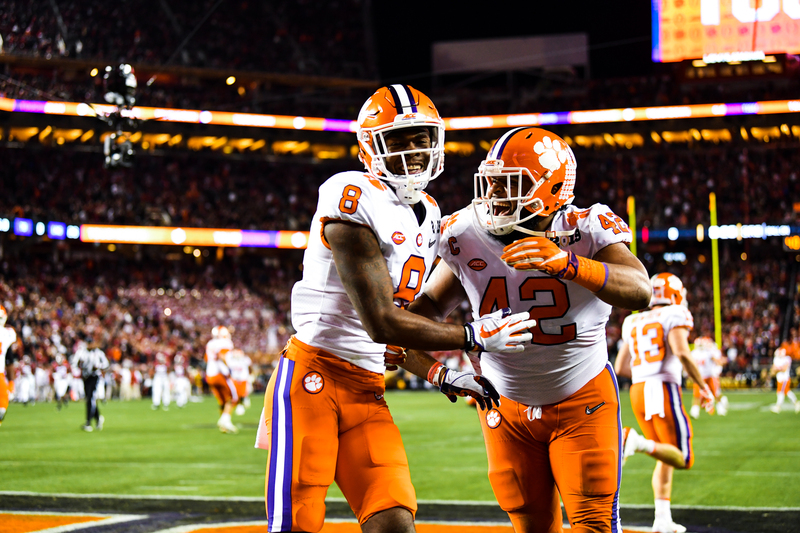 Trevor Lawrence completed 20 of 32 pass attempts for 347 yards and three touchdowns, and of the nine receivers he connected with, Justyn Ross was his favorite, as the wideout amassed 153 yards and a score on six catches. 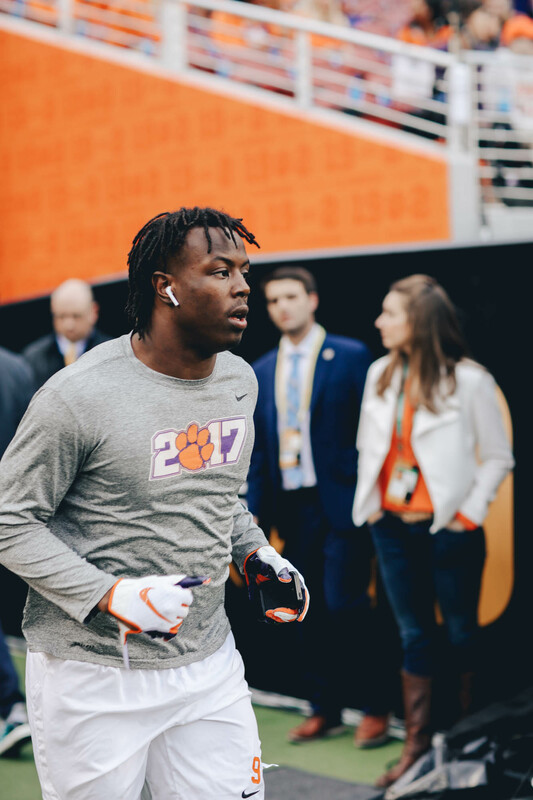 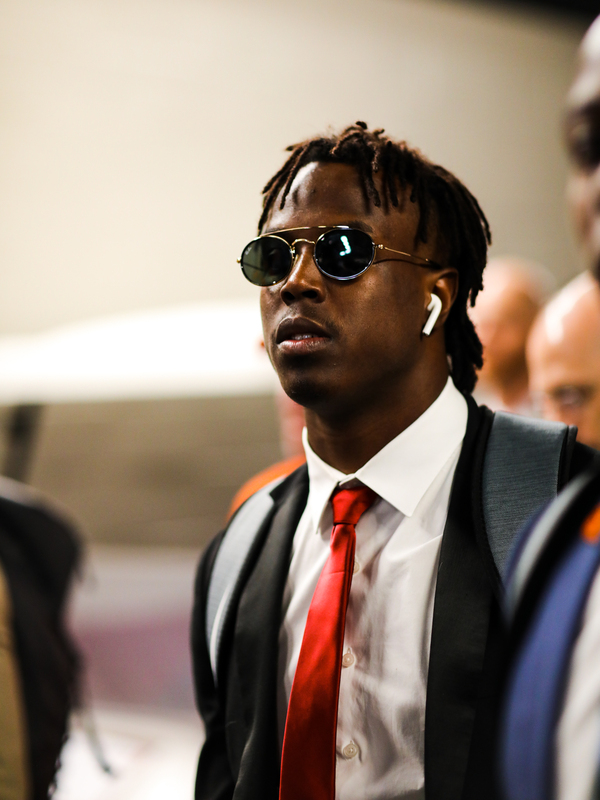 Travis Etienne also added a pair of touchdowns the ground and totaled 86 yards on 14 carries. 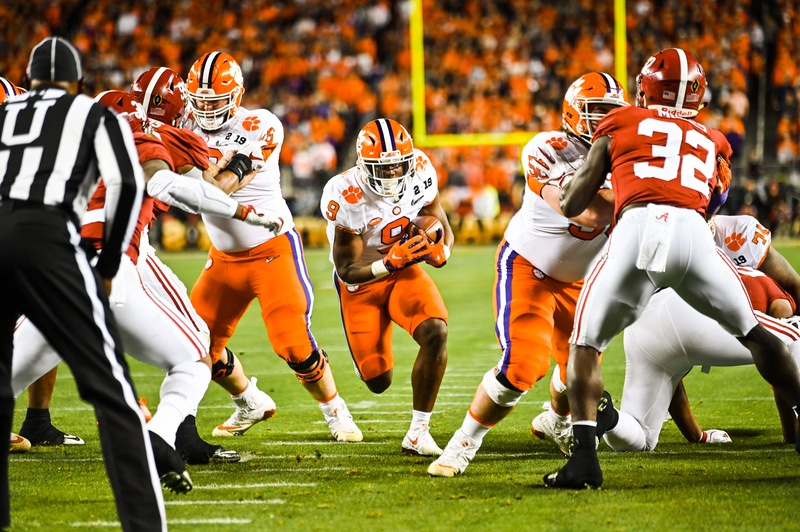 The Tiger defense held the Tide offense, which had been averaging almost 48 points per game, to just 16 first-half points and was led by Trayvon Mullen, who had six solo tackles, including a sack, an interception and a forced fumble. 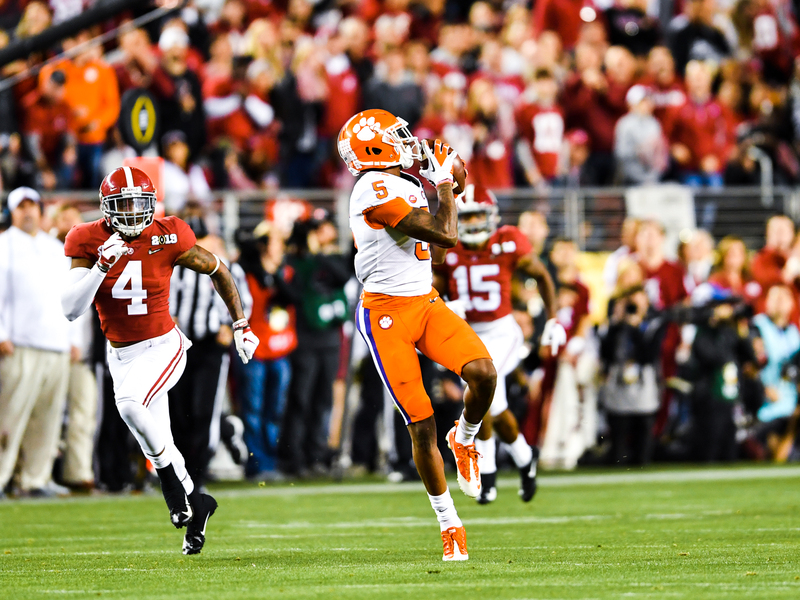 Clemson took an early lead when A.J. 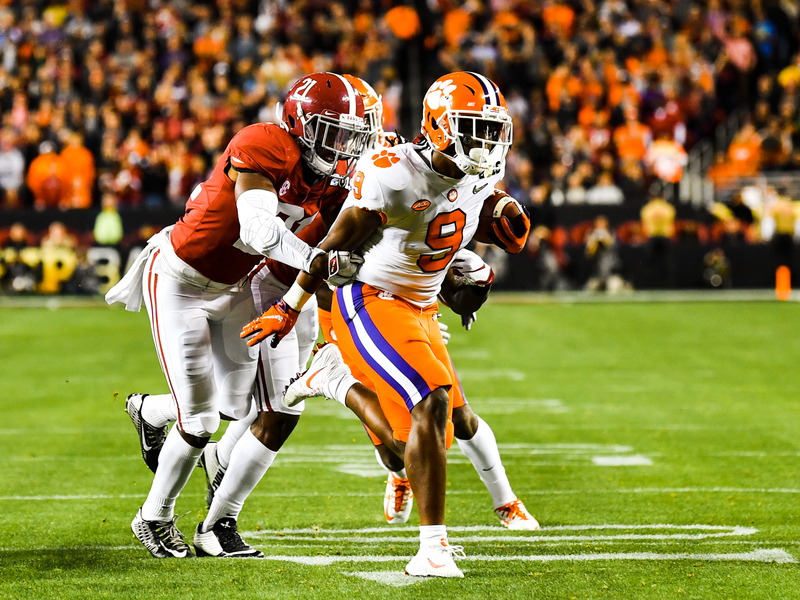 Terrell intercepted a Tua Tagovailoa pass and returned it 44 yards for a score, halting the Tide’s first drive of the game and giving the Tigers a 7-0 advantage just over two minutes into the matchup. 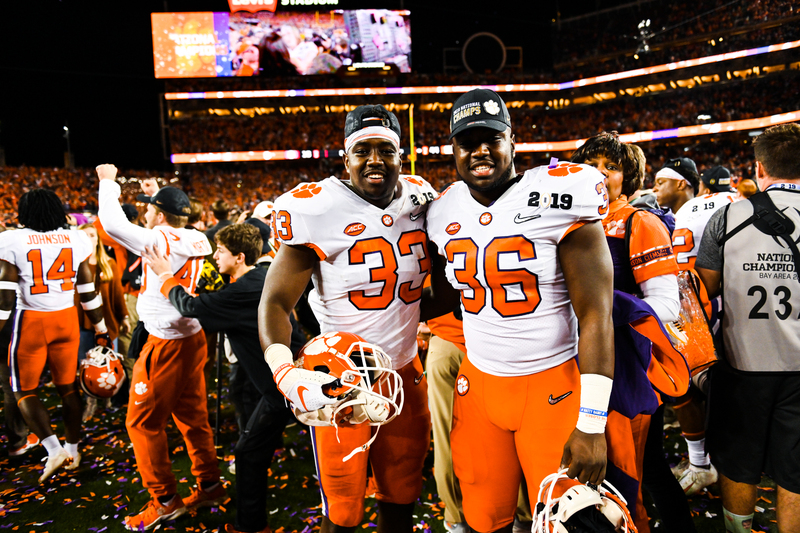 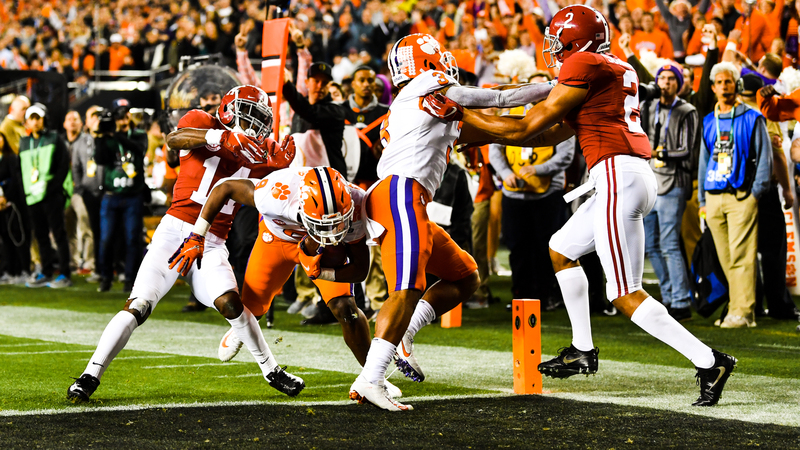 While Alabama tied it up three plays later on a Jerry Jeudy 62-yard touchdown reception, Lawrence found Higgins in stride for a 62-yard reception of his own on the ensuing series, and Etienne sealed the drive with a 17-yard scoring run on the next snap. 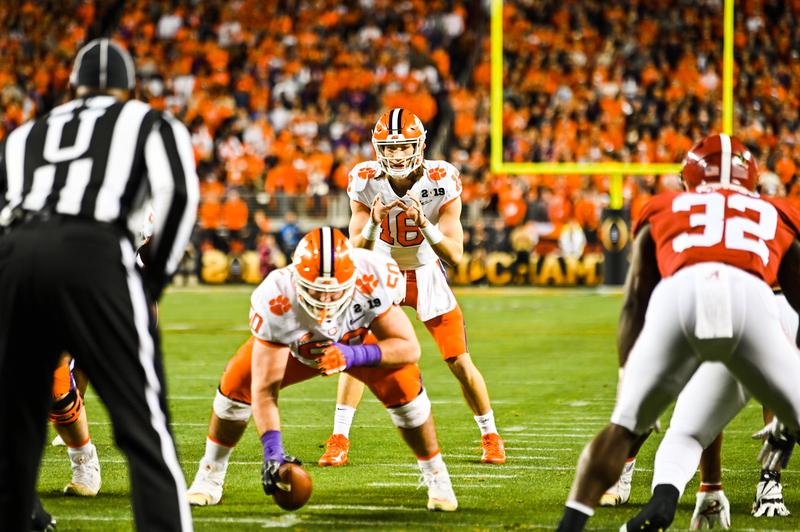 The remainder of the quarter saw Alabama score on a one-yard pass to Hale Hentges, but the extra point attempt bounced off the right upright to keep the Clemson lead intact at 14-13. 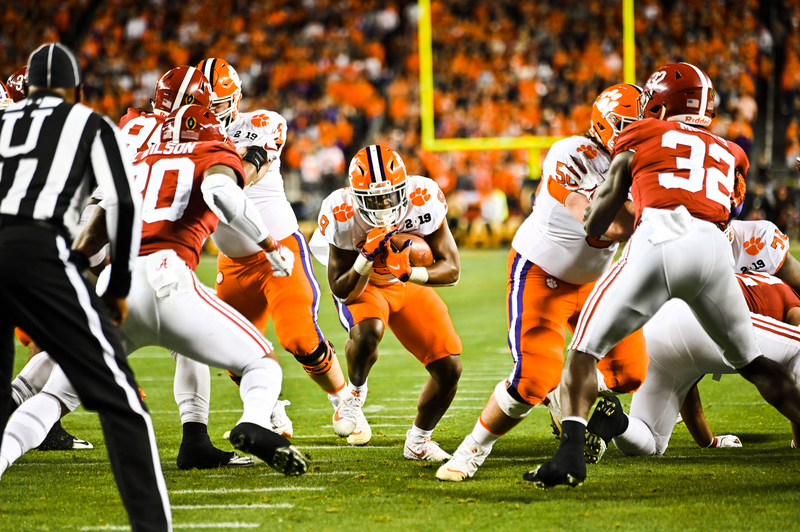 The Tide opened the second quarter with a 25-yard field goal to take their first and only lead of the game at 16-14, but that proved to be all the Alabama scoring that the Clemson defense allowed for rest of the first half, and ultimately, the game. 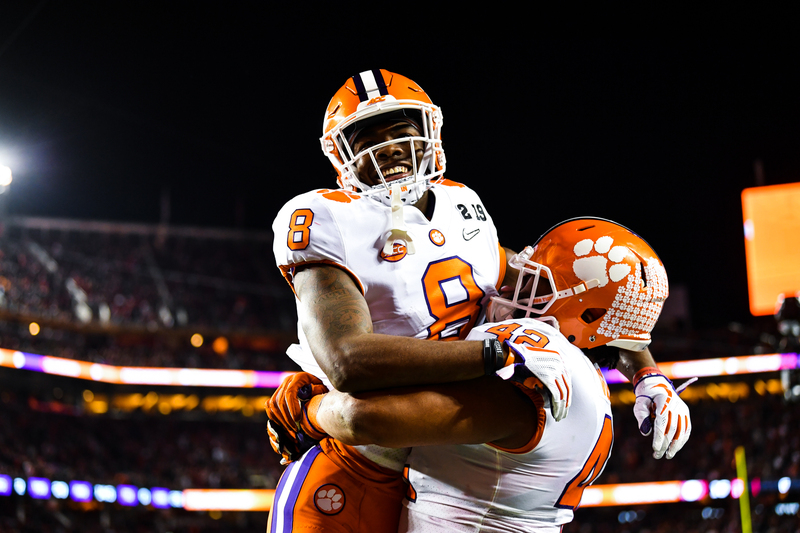 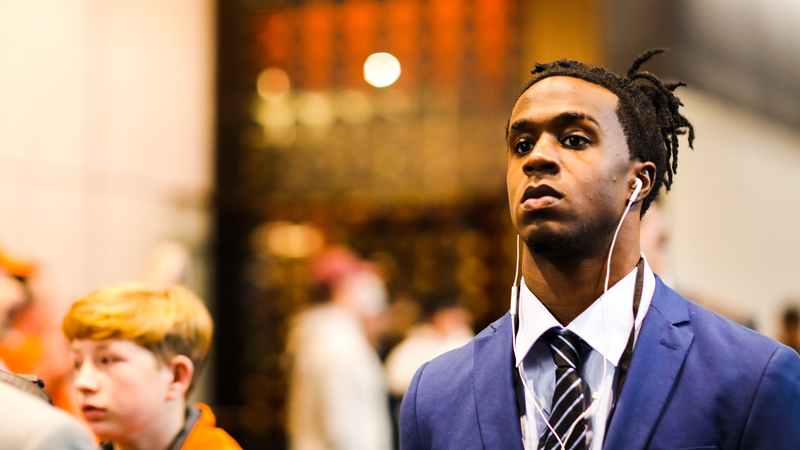 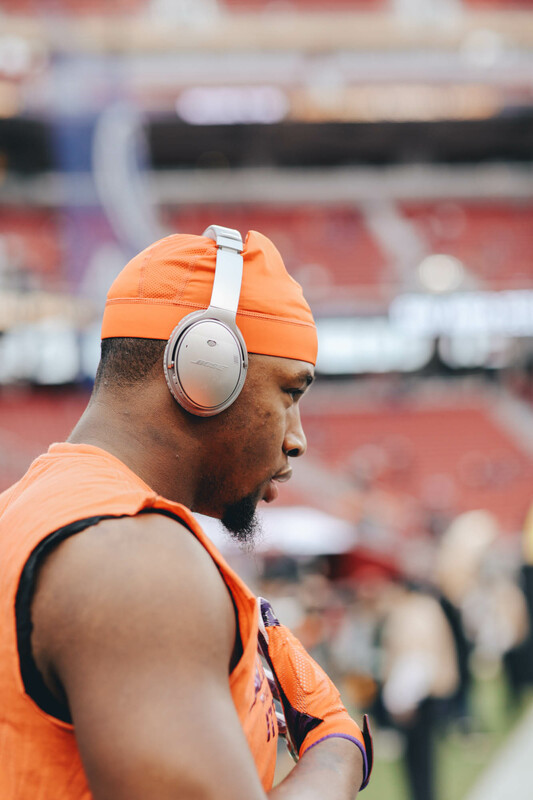 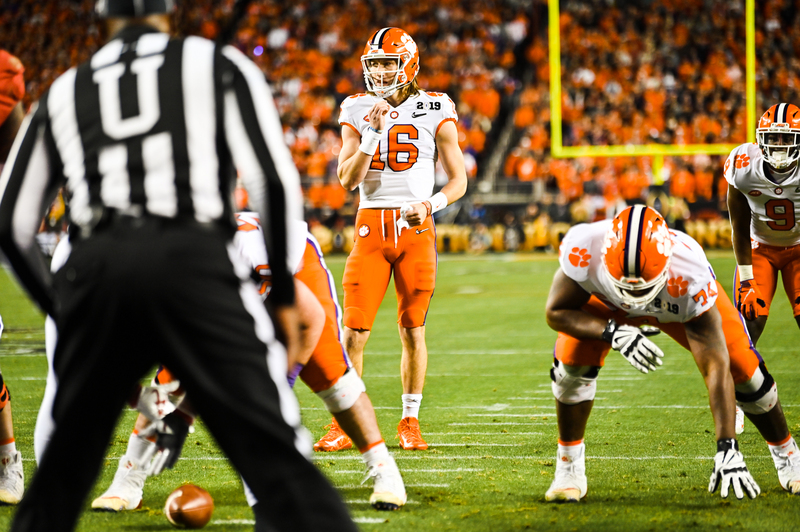 On the offensive side of the ball for the Tigers, Etienne found the endzone twice before the half, once on a one-yard run and the other on a five-yard pass set up by a Trayvon Mullen 46-yard interception return, and Greg Huegel hit a 36-yard field goal to give Clemson a 31-16 lead at the break. 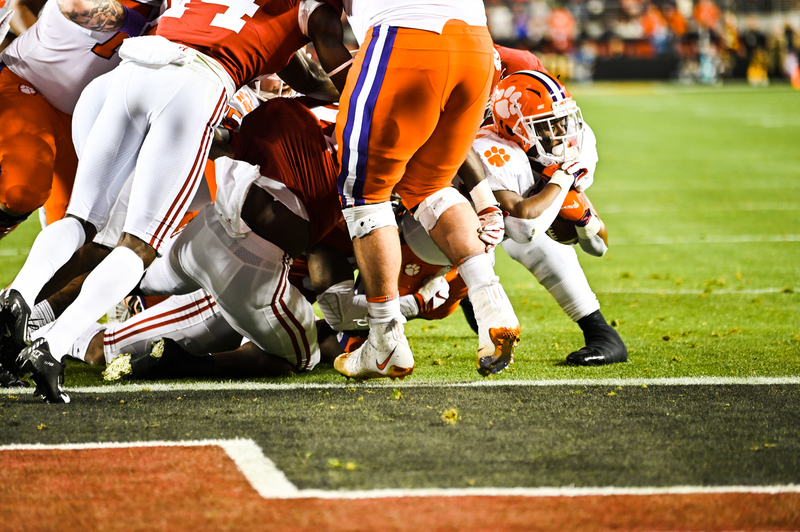 In the third quarter, the Clemson defense stuffed a fake field goal attempt and forced an Alabama turnover on downs. 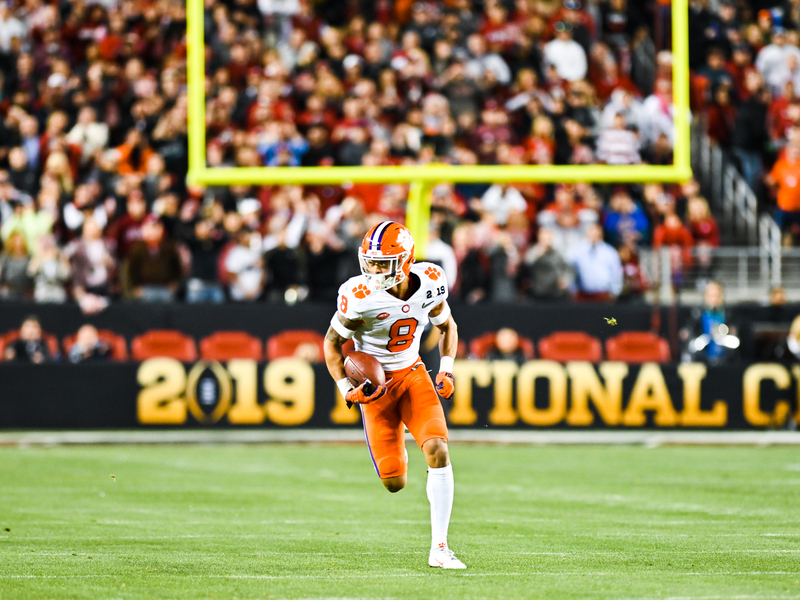 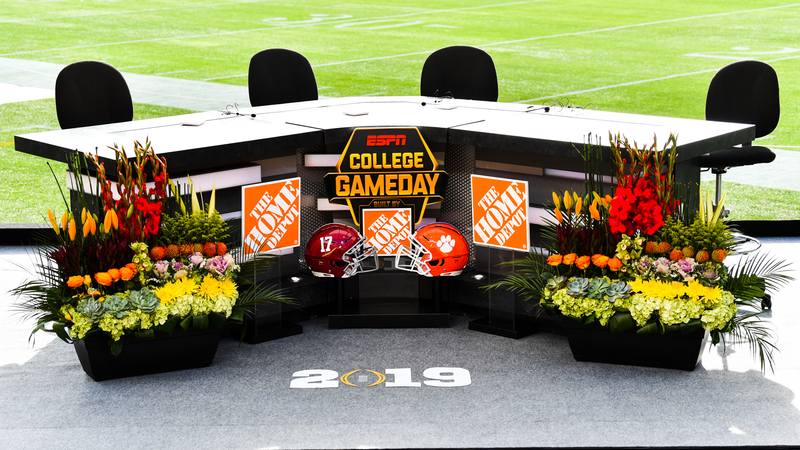 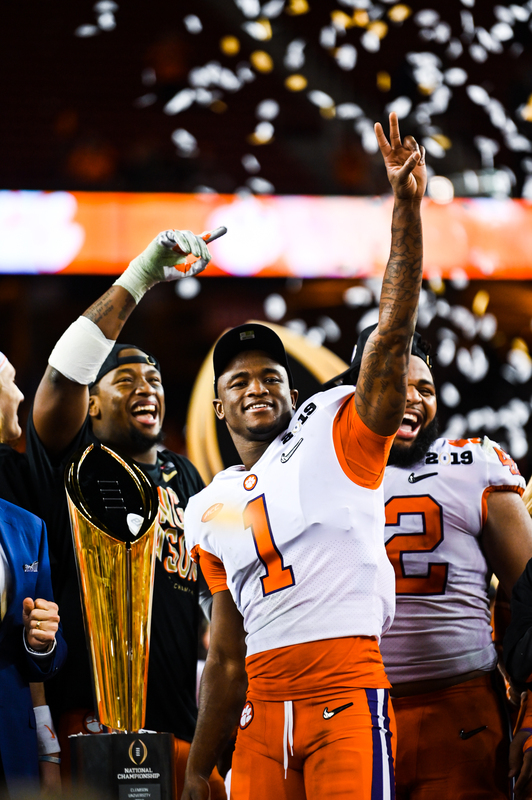 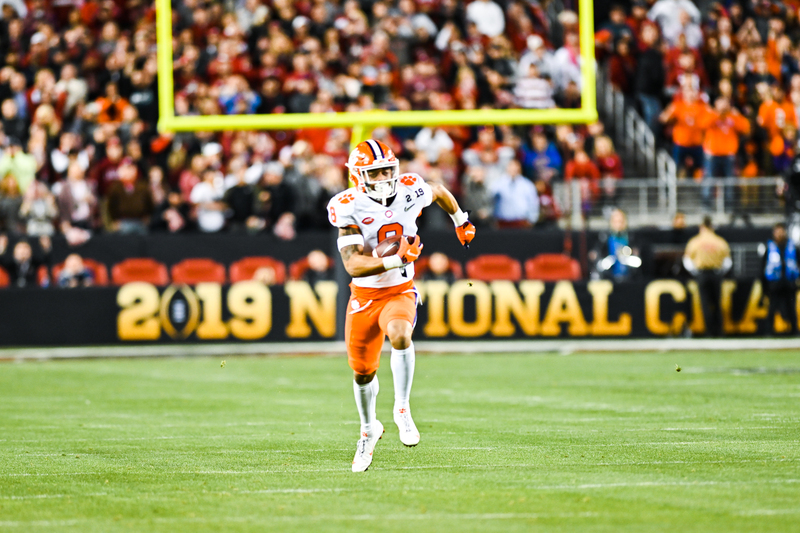 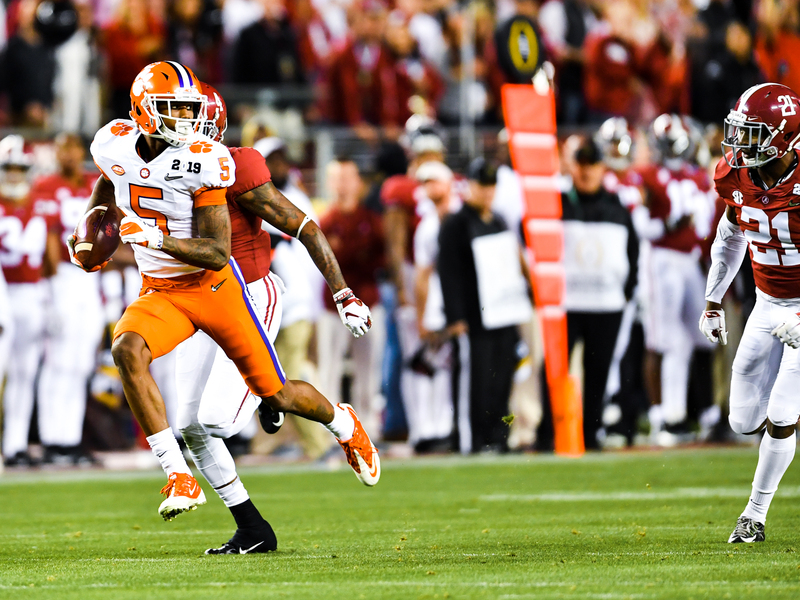 The Tiger offense, in turn, posted 13 points via a 74-yard scoring connection from Lawrence to Ross and a five-yard touchdown reception by Tee Higgins, with the latter being set up by a pair of acrobatic catches by Ross. 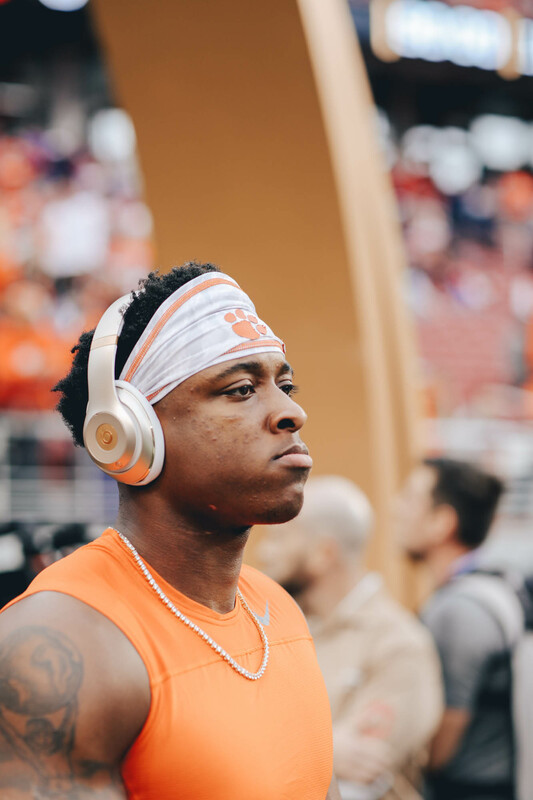 A scoreless fourth quarter left the final score at 44-16. 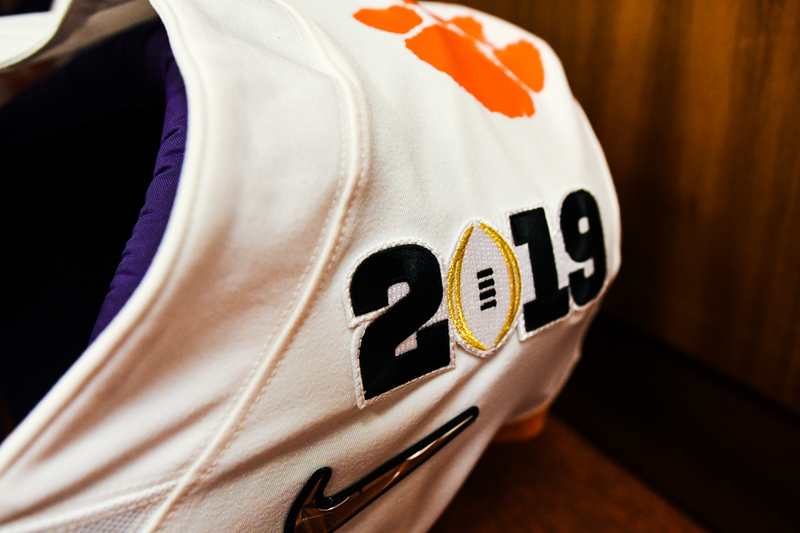 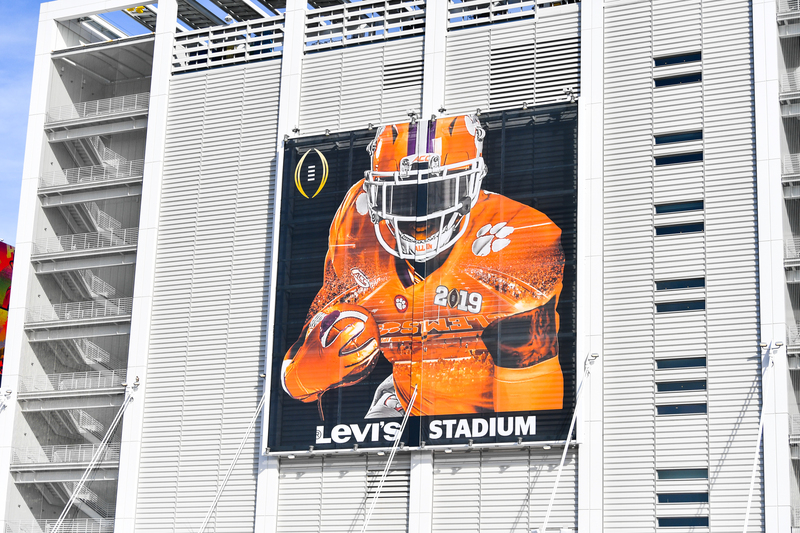 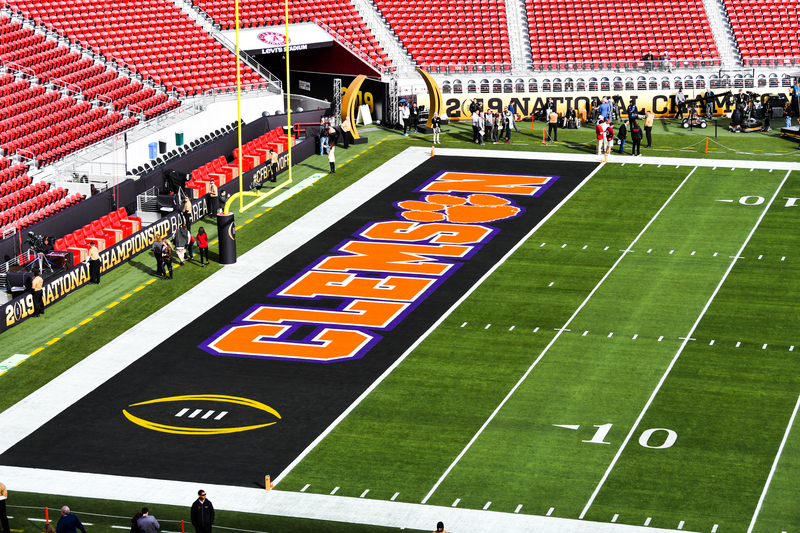 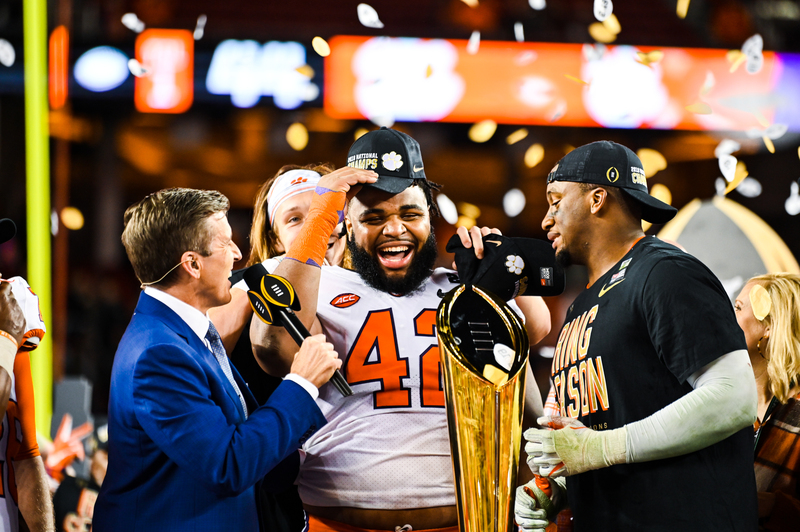 Fans wishing to get official Clemson National Championship merchandise are encouraged to visit the Clemson Tigers Store.